Almost every sixth Austrian suffers from joint problems. 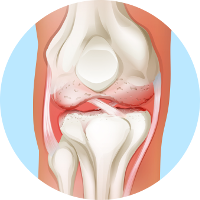 Especially skiing in the winter time can lead to knee pain. 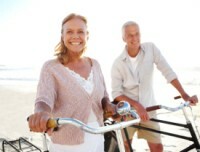 Now a new therapy for the treatment of joint pain is available. The patient’s own stem cells are injected into the affected area. Watch the report (in German language), in which Puls4 tells the story of Viennese celebrity hairdresser Karl “Charly” Plasil of OSSIG hairstyle & beauty, who can ski again without pain after a knee treatment with his own stem cells. Migraine: Can Stem Cells from Body Fat Help? About every tenth person suffers from it: Headache attacks, accompanied by nausea and increased sensitivity to sensory stimuli, known as migraine. The duration of the headache, which mostly radiates unilaterally into the neck, is very variable, but can last from several hours to some days. Affected people mostly complain about the heavy emotional distress due to the recurring pain. In spite of intensive research, the cause of migraine still has not been fully understood. By now we know that so-called trigger factors cause seizures via a stimulus. Among them are hormonal factors, for example stress, but also certain food products and pharmaceuticals. In order to temporarily ease the symptoms in case of urgencies painkillers and drugs are given for blocking the “nausea receptors” located in the brain. Now the sufferers can draw new hope. In the course of a study on patients American scientists found that stem cells extracted from body fat may contribute to the relief of migraine. Stromal Vascular Fraction (SVF) has been separated from a small portion of adipose tissue. Fat tissue has a high content of vital cells such as mesenchymal stem cells. Afterwards, the SVF has been injected into the area of shoulders and neck. In the study the New York Headache Center surveyed adult women and men who suffered from chronic therapy-resistant migraine for multiple years. The scientists defined a reduction of the MIDAS score as a goal. This score measures the degree of a patient’s impairment by migraine and also the reduction of quality of life. The treatment showed success: Already three months after the stem cell treatment the score declined by almost one third. As the study proves, the transplantation of stem cells isolated from body fat could spare migraine patients the frequent intake of medication and therefore may have a positive impact on the improvement of their well-being. Treatment with fat stem cells helped nurse Ottilie Ebner to cure long-term, painful wear in the right wrist. Due to increasing pain in the right wrist nurse Ottilie Ebner gradually lost her autonomy over the years. She did not want put up with this any longer and decided to undergo treatment with stem cells from her own body fat. Today she is free of pain and can master her daily life like 20 years ago. When working as nurse Ottilie Ebner was used to help to needy people. So much the better she knows how important autonomy in everyday life is for quality of life. Decades of hard work in the hospital left traces: Years ago she had pain in her wrist for the first time while opening a bottle. The pain only went on to get worse. Daily routines turned into difficult tasks. 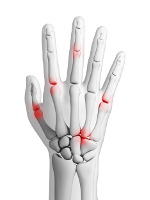 The Diagnosis: Osteoarthritis of the right wrist joint. “I could neither write nor dry my hair, wire wipes or iron my clothes,” she recalled. Driving a car and visiting the fitness center were also impossible. Physiotherapy and medication only relieved the pain for a short while. “When I heard that fat stem cells helped to treat joint pain, I was intrigued,” says Mrs. Ebner. In the course of a small surgical procedure under local anesthesia DDr. Heinrich first harvested a little portion of fat from Ottilie Ebner using a thin cannula. During surgery so-called mesenchymal stem cells were extracted from the fat and immediately injected in the region of the patient’s wrist. About two hours later the procedure was done and Ottilie Ebner could leave the clinic. “Following the procedure ideally the tissue regenerates, inflammations disappear, pain is relieving and the wrist becomes motvable again,” DDr. Heinrich explains. A series of clinical studies confirm this effect. Finally relief for Mrs. Ebner: “The pain declined day by day.” Already few weeks after the procedure she was completely free of pain in the right hand and could write again. “I am meanwhile able to drive the car and enjoy my recovered autonomy,” the satisfied patient reports. Recently she has started with fitness training again. Physician DDr. Heinrich is delighted by this success: “For patients who suffer from movement limitations and chronic pain due to joint problems it is very relieving when they regain mobility and are free of pain.” Treatment with fat stem cells offers many patients for whom artificial joints or surgery under general anesthesia are not an option a gentle alternative. Published in Krone Gesund on October 21, 2017. Krone: Knee Pain: Fit for the Match Again! Severe pain put the Austrian national league basketball player Max Neugebauer suddenly out of action. But of course a top sportsman does not give up! After some unsuccessful therapy attempts, the 21-year-old athlete decided to undergo treatment with stem cells from his own body fat. Now he is again free of pain and ready for his comeback! Since his 13th birthday Max Neugebauer has been an avid basketball player. After all, he is “predisposed” by the family: As a child, he cheered his father at games. Thus it is no wonder that his own sporting successes were not long in coming ­– top spots in the youth league, national champion, youth national team, offers from America. The process: Under local anesthesia DDr. Heinrich first harvested a small amount of body fat from Max Neugebauer with a small cannula. During the procedure, so-called mesenchymal stem cells were separated and immediately thereafter injected into the region of both knee joints. After the two-hour procedure, the patient could leave the clinic on his own feet, so to speak. Published in Krone Gesund on May 27, 2017. Just a few months ago, the owner of the hairdresser salon OSSIG Karl (“Charly”) Josef Plasil could hardly walk because of pain in the knee joint. In the meantime he is skiing again and is walking quickly on foot – thanks to a knee treatment with stem cells from his own body fat. Physical activity has always been an essential part of Charly Plasil’s life. Whether he is styling prominent customers together with his team in his salon OSSIG hairstyle & beauty or when he does sports. To keep fit, he always liked to ski, bike, and go Nordic walking. Successful treatment: Expert hairdresser Charly Plasil is back safely on skis and is also able to walk without pain thanks to a stem cell treatment. The Viennese doctor DDr. Karl-Georg Heinrich is active in the field of regenerative and aesthetic medicine. For years, he has been dealing with body fat and its benefits for health and beauty. Body fat and its components also play an important role in the regeneration of damaged body tissue. The regenerative potential of the “mesenchymal stem cells” or “stromal vascular fraction”, which are abundantly contained in the fat, is now confirmed by a number of studies. Contact: DDr. Karl-Georg Heinrich: Phone: +43 1 532 18 01, info@ddrheinrich.com. Photo: OSSIG hairstyle & beauty. Published in Dein Bezirk on May 8, 2017. Physical activity has always been an essential part of his life for Charly Plasil. Whether in his salon (OSSIG hairstyle & beauty) in downtown Vienna, where he dresses up celebrity ladies and gentlemen, or if he does sports eagerly in his free time – for example, riding the bike, Nordic walking, or skiing down the slope in the winter. The Viennese doctor DDr. Karl-Georg Heinrich is active in the field of regenerative and aesthetic medicine. For years, he has been dealing with body fat and its use for health and beauty. In addition to using it for breast augmentation, for example, body fat also plays an important role in the treatment of tissue damages. This is confirmed by scientific studies. Charly Plasil was informed about the method and the course of the planned procedure by his doctor. Optimally prepared, he underwent the treatment. First, a small amount of fat was harvested in local anesthesia. DDr. Heinrich then separated mesenchymal stem cells from this fat and injected them into the area of the joint immediately afterwards. „Basically, this therapy can be done on all joints,” says the physician. After two hours his patient took a taxi home. The next day he came to the check-up. Within short time the small punctures of the liposuction had healed and the bruises had subsided. Contact: Clinic DDr. Heinrich®, ☎ +43 1 532 18 01, info@ddrheinrich.com. Published in Krone Gesund on April 8, 2017. Vienna (2017-03-15) — American scientists have found that stem cells from adipose tissue are an effective way to treat blood flow problems in the arms and legs. In their recent study published in the scientific journal Stem Cell Research 10 patients suffering from peripheral vascular disease due to diabetes or arteriosclerosis were successfully treated with stem cells. The stem cells were obtained from each patient’s own (autologous) fatty tissue. Arteriosclerosis is the most common cause of the development of peripheral vascular disorders, closely followed by diabetes. 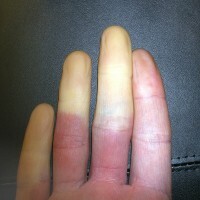 Deposits caused by the underlying disease lead to constrictions or occlusions in the blood vessels of the arms or legs as well as chronic wounds, which in the end stage can even require an amputation of the affected limb. 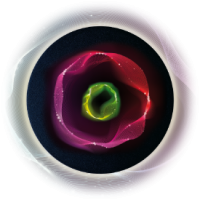 “Patients who suffer from degenerative diseases are apparently benefiting from the considerable regenerative potential of stem cells. These include the peripheral occlusive disease,” explains DDr. Karl-Georg Heinrich, physician working in the field of regenerative and aesthetic medicine. In his Clinic DDr. Heinrich® in Vienna stem cells from body fat are used for the treatment of circulatory disorders and other chronic problems, such as osteoarthritis. These stem cell treatments are performed on an outpatient basis as an intervention in local anesthesia. “Stromal Vascular Fraction” (SVF) is obtained from a small amount of harvested body fat, which contains a high proportion of mesenchymal “Adipose-Derived Stem Cells” (ADSCs). Depending on the initial situation, repetitions of the treatment may be recommendable. SVF suspension was injected into the legs and feet affected by circulatory disorders and chronic wounds. As a result, a significant alleviation of the so-called “window shopper’s disease” (Claudicatio intermittens) was found, which causes severe pain in the case of circulatory disorders of the legs. In the majority of the patients also an increase in new vessel formation and improved wound healing could be observed. It seems to be important to start the treatment with stem cells in an as early as possible stage of disease. “Of course, there is no guarantee of cure, but the therapeutic potential of stem cells and the SVF cell mixture is astonishing,” says DDr. Heinrich, who was one of the first doctors in Europe to perform therapies with the patient’s own fat stem cells. “Not only joint wear and blood circulation disorders, but also other chronic diseases can already be treated with stem cells.” Especially in autoimmunological diseases, autologous fat stem cells are used with promising prospects for success. In patients with scleroderma and Crohn’s disease, an increase in the quality of life could be achieved in studies by treatment with autologous stem cells. When it works in dogs and racing horses – why not in humans? Joint damages of these animals were treated with stem cells taken from their body fat. “Such treatments have also been successful in humans for a number of years,” reports DDr. Karl-Georg Heinrich (ddrheinrich.com). The physician has, among others, specialized in liposuction and is convinced of the benefits of treatments with the patient’s own fat, which he, for instance, uses for breast augmentation. These cells are so-called mesenchymal stem cells. After such injections in the vicinity of joints, chronic joint complaints would also have improved. Specifically, the method works as follows: Under local anesthesia a little amount of fat is harvested at the belly or waist region. From this fat the mesenchymal stem cells are isolated, which are then injected into the affected joint areas – mainly knees, hips, hands, fingers. Published in Wiener Bezirksblatt on February 20, 2017. Krone: Fat for the Joints? It worked in dogs and racing horses: Stem cells taken from the animal’s own fat could actually improve damaged joints in four-legged top athletes. For a number of years, such experiments have also been successful in humans, as authors of international studies confirm. 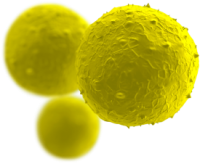 Stem cells from fat tissue must not be confused with those obtained from embryos. However, the so-called mesenchymal stem cells (MSC) from fat tissue are likely to play an important role in the regeneration of worn cartilage and bones. DDr. Heinrich observed that MSC injections in the vicinity of joints also led to an improvement of chronic joint problems. He found out that MSC have already been successfully used internationally in animal studies as well as in human clinical trials. The procedure: A small amount of fat is taken from the abdominal or hip area under local anesthesia. This fat is used to isolate the mesenchymal stem cells, which are subsequently injected into the affected joint areas (mainly knees, hips, hands, fingers). The procedure is performed on an outpatient basis and the patients are discharged home afterwards. Published in Krone Gesund on January 21, 2017.